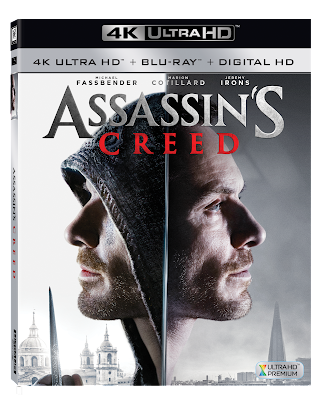 Enter the Animus and dive deeper into the action when Twentieth Century Fox Home Entertainment releases Assassin’s Creed on Digital HD on March 10 and 4K Ultra HD, Blu-ray™, 3D Blu-ray™ and DVD on March 21. Ubisoft®’s blockbuster video game franchise is brought to life in this new powerful storyline, along with an arsenal of action and adventure, and continues with more than 90 minutes of high-powered unrelenting bonus features. © 2016 Ubisoft Motion Pictures Assassin's Creed. All Rights Reserved. Assassin’s Creed, Ubisoft, and the Ubisoft logo are trademarks of Ubisoft Entertainment in the US and/or other countries.